PORTAGE – Linda M. Fischer, age 74, passed away peacefully at Agrace Hospice Care in Fitchburg on Wednesday, March 20, 2019, surrounded by her loving family. Linda was born on May 6, 1944, in Portage, the daughter of Carl and Ruth (Schiefelbein) Roecker. She was married on September 23, 1967, to Clifford Fischer. Linda worked at K-Mart, Hallmark and upon retirement, she worked with her husband making crafts and doing craft shows for 15 years. She enjoyed shopping, trips to Las Vegas with her daughters, granddaughters, sons-in-law, Janey, and the Bensons, trips to Ho-Chunk with Judy, having lunches with her high school friends and Hallmark girls, watching The Bachelor with Kaitlyn, and talking to family and friends. 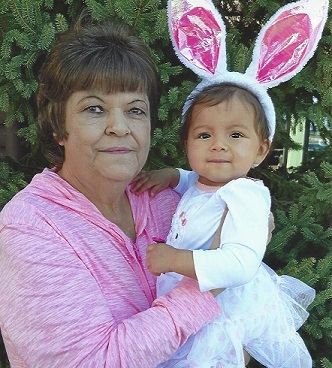 Her greatest joy was the last few years with her great-granddaughter, Mya, who was her sunshine and sweetie. Mya is going to miss her Gigi but knows Gigi will always be watching over her. Linda is survived by her daughters, Tammy (Charles) Hilgers of Cottage Grove, Barbara (Steven) Reynolds of Madison; granddaughters, Elizabeth Hilgers of Columbus, Jenna Hilgers of Cottage Grove; great-granddaughter, Mya; nieces, nephews and many friends. 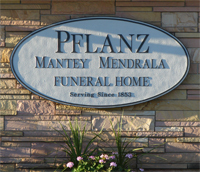 She was preceded in death by her parents; husband, Clifford; sisters, Elaine Schumann (Donald), Patricia Pratt (Frances), Nancy Rohrbeck Engstrom (Arwin/Carl) and Mary Roecker. Funeral services will be held at St. John’s Lutheran Church in Portage on Saturday, March 23, 2019, at 2:00 p.m., with Rev. Greg Hovland officiating. Burial will follow in Oak Grove Cemetery. Visitation will be at the church from 12:00 p.m. until the time of service. Mom would like to thank the family and friends that have been there for her during these last difficult months by phone or in person. A special thank you to Agrace HospiceCare in Fitchburg, Dr. Laura Mauersetter and her team at the UW Hospital Kidney Clinic and Ronda, her staff, and dialysis friends at the Divine Savior Dialysis Unit. She so appreciated the care and friendship she had there with everyone.